In office appointments are also available at our local San Diego offices. Call (619) 222-3839 or email sdcalmed420@gmail.com to set up an appointment. The Compassionate Use Act of 1996 codified in Section 11362.5 of the Health and Safety Code, allows seriously ill residents of California to use marijuana for medical purposes. Qualified Patients and Primary Caregivers who have a written recommendation from a physician may cultivate, acquire, and use marijuana for medical purposes without fear of criminal liability under sections 11357 and 11358 of the Health and Safety Code. It is the patient’s right to use medical cannabis as an alternative to prescription medications. It is a patient’s choice to be evaluated by a professional and experienced licensed physician. Cal Med 421 is the choice for patients seeking confidential evaluations by physicians that take an individual approach to the assessment and treatment of a condition or a disease. All attending physicians are board certified and are in good standing with the California Medical Boards, as required by SB 420 and Attorney General Guidelines. Cal Med 421 offers 24 hour, 7 days a week verification both live and on-line to assure that your status as a qualified patient or primary caregiver can always be verified and you can always be protected. Do I need to be referred to Cal Med 421 by another physician? No. 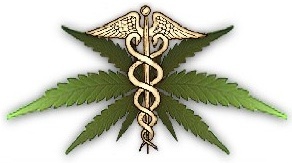 Cal Med 421 can evaluate anyone who feels that they can benefit from Medical Marijuana. No, your fee will be returned to you if you do not receive a recommendation. Will my name be on a state or federal list if I get a medical marijuana recommendation? Absolutely not! We consider your privacy the utmost importance. We follow HIPAA guidelines to ensure patient privacy. When you arrive at our office you will be asked to fill out a medical history form, along with some other documents and disclosures. You must provide a valid state-issued CA ID or Driver’s License prior to your evaluation. You will then meet with our physician who will evaluate you for the recommendation. If you qualify you will receive your original certificate, signed and sealed, at the end of your appointment.. State issued cards could be voluntary obtained from the Department of Health Services in county in which you live. It is important for you to bring any medical documentation (from previous physician visits, ER visits, chiropractor visits, etc.) that supports your diagnosis. This includes: recent medical records, prescriptions, physician’s letter, chiropractor’s letter, x-rays, MRI’s or any other documentation that you think can help. Do you accept people on probation? No, we do not issue recommendations to people on probation. Call your physician or the hospital where you were treated and tell them you want copies of your medical records. They will tell you the process and typically have you sign an authorization to fax to them. You can always call our offices and we'll happily assist you in retrieving your records. What happens if I have never seen a physician but I know medical marijuana will help my condition? You can still be evaluated at Cal Med 421. Our experienced physicians will perform a "good faith" evaluation. You can still be evaluated at Cal Med 421. Our experienced office staff will help you in tracing and retrieving your medical records. Physicians in California cannot help you purchase medical marijuana nor recommend any association, collective or cooperative. There are numerous organizations, websites, and publications that can help you. Qualified patients and primary caregivers may also cultivate marijuana for medical purposes. Thus, you may elect to grow your own medicine. Please enter patient information exactly as it appears on the Physician's Statement. CALMED420 DOES NOT OWN ANY OF THE PRACTICES OR PROVIDE PROFESSIONAL SERVICES. ALL LOCATIONS ARE RUN AND OPERATED BY STATE LICENSED PHYSICIANS.